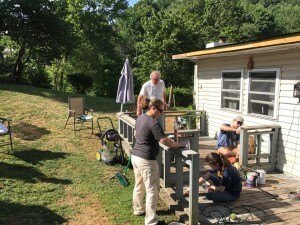 In July of 2017, a group of a dozen worshipers from Concord Presbyterian Church in West Sunbury, PA, traveled to the community of Mabscott, WV, for a week of community service that centered around repairing houses. The Rev. Bob Edmundson led the group, which received a $2,000 Mission Travel Grant from the Synod of the Trinity to help defray expenses for the trip. “It truly was the donation that made the trip possible for the church,” Bob said of the grant. 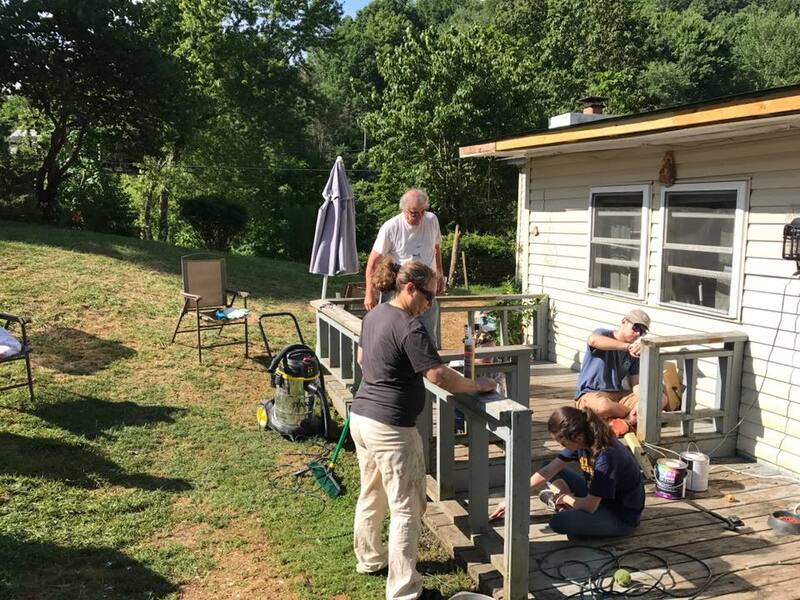 “The 2017 Concord Presbyterian Church mission trip worked with an ecumenical organization called ‘Team Effort.’ Our project for the week involved roof repair, drywall repair as a result of a leaking roof and repair of a wooden deck that had rotting boards. We worked alongside another group from New Jersey and enjoyed getting to know them as well as working with them. “Work each day began with devotions and each day ended with an hour-long worship time. Miss Barbara, the homeowner, was so very gracious as the team worked on her house. Many of the people sat and talked with her and shared their faith as well as she to them. Miss Barbara had worked as a cook and was a widow of several years and did not have the ability to fix her house up, so it helped her greatly.